Dr. Geoffrey Weckel, PsyD, has a doctoral degree in Clinical Psychology (PsyD) from Argosy University. 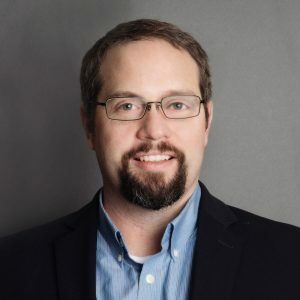 He has also earned Masters’ Degrees in Marriage and Family Counseling and Christian Education from Southwestern Baptist Theological Seminary, and a Masters Degree in Clinical Psychology from Argosy University. He is a Licensed Clinical Psychologist and a Licensed Professional Counselor. Geoff has been counseling in Dallas-Fort Worth since 1998 in a variety of different settings. At Restoration, Geoff provides psychological assessments for a wide range of issues, including attention-deficit/hyperactivity, personality, mood and anxiety disorders, neuropsychological, psycho-education, and aptitude and vocational direction. He is able to assess children (from the ages of 7 and up) and adults. Geoff also provides individual, couple, and family counseling at Restoration. As a counselor, he desires to help individuals and families experience an abundant life by increasing their ability to have a healthy relationship with God, oneself, and others. His relaxed disposition and dry sense of humor provide an ideal setting for those who are seeking to improve their ability to improve their ability to manage their anxieties, overcome addictions, and strengthen family relationships. Geoff is a certified Dialectical Behavior Therapist (DBT) and a member of the Christian Association of Psychological Studies.